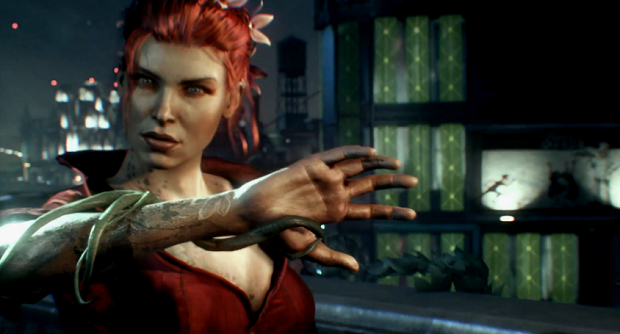 Rocksteady has released a new trailer for Batman: Arkham Knight showing the dark knight extracting Poison Ivy from one of Scarecrow’s safehouse. The footage (which you can view below) was captured directly from a PlayStation 4, and clocks in at over seven minutes with combat segments, traversing Gotham, and driving the Batmobile through the city. Arkham Knight is coming to PC, PlayStation 4, and Xbox One on June 23rd. Rocksteady recently revealed that players will be able to play as other characters in Arkham Knight, including Robin, Catwoman, and Nightwing.